Emory’s annual Tenenbaum Lecture will explore “The Jews of Cuba and their Diasporas: Memories, Stories, Dilemmas,” with guest scholar Ruth Behar of the University of Michigan, at 7:30 p.m. Wednesday, Feb.13. The lecture, sponsored by Emory’s Tam Institute for Jewish Studies, will take place in the Ackerman Hall of the Michael C. Carlos Museum on campus (571 South Kilgo Circle), and will be followed by a reception. Although a small community of scarcely 1,000 people, the Jews of Cuba have attracted wide attention for choosing to shoulder the responsibility of safeguarding the Jewish legacy. Many American Jews have traveled to Cuba on "missions" to aid in this Jewish "rebirth" and have marveled at the vibrancy of the island's Jewish community. At the same time, the Jewish community has been affected by the continual loss of its members through the many migrations that have occurred since the early years of the Cuban revolution. Behar’s lecture will address the contradictions surrounding Cuba's Jews on the island as they forge a path between the scroll and the revolution, between Jewishness and Cuban citizenship, while also exploring the connection to and separation from Cuban Jews in the diaspora. Behar was born in Havana, Cuba, and grew up in New York City. She is the Victor Haim Perera Collegiate Professor of Anthropology at the University of Michigan and the recipient of numerous prestigious awards, including the MacArthur “Genius Grant” and the Guggenheim Fellowship. 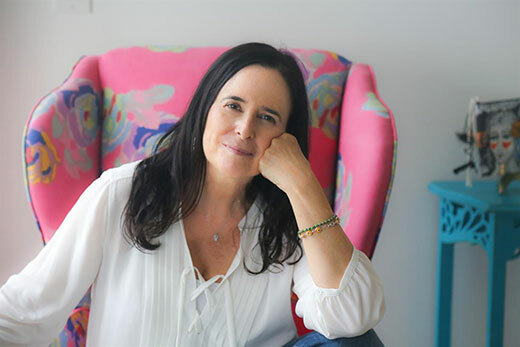 A prolific author, her books include “An Island Called Home: Returning to Jewish Cuba,” and “Traveling Heavy: A Memoir in between Journeys,” among many others. This year marks the 23rd anniversary of the Tenenbaum Family Lectureship in Judaic Studies, which salutes the family of the late Meyer W. Tenenbaum ’31C-’32L of Savannah, Georgia. Tenenbaum, a native of Poland, arrived in the United States at age 13 knowing no English, and graduated from the Emory University School of Law 11 years later. He went on to head Chatham Steel Corporation, now a major steel service center with headquarters in Savannah. The Tam Institute for Jewish Studies at Emory is one of the leading institutions teaching Jewish Studies in the Southeast. Bringing together scholars and students from a number of different departments and programs, the Institute awards an undergraduate major and minor and provides support for doctoral-level work. Each year, the Institute sponsors public events including the Tenenbaum Family Lecture in Judaic Studies and the Rabbi Jacob M. Rothschild Memorial Lecture, bringing distinguished visiting scholars to campus to share knowledge with faculty, students, and the Atlanta community.